• Authentic U.S. 1 oz American Silver Eagle. • Coin is minted in one full ounce of .999 PURE SILVER. • 2017 U.S. Silver Eagle. No bullion or proof silver coin series in the world today is more popular than the American Silver Eagle. You now have a unique chance to purchase one of these brilliant specimens with full colorization on the obverse and reverse. The 1 oz Colorized American Silver Eagle coin is available to you from the Merrick Mint in BU condition for a limited time. The American Silver Eagle was introduced in 1986 by the United States Mint as bullion and proof specimens. Today the Silver Eagle is the highest selling coin in the world, with 47.1 million units sold in 2015 alone. Through this unique offering you can purchase a 1 oz Colorized American Silver Eagle Coin. These coins feature one of the most elaborate colorizations in the entire world. On the obverse of the 1 oz Colorized American Silver Eagle coin you’ll find Adolph A. Weinman’s Walking Liberty design while the American flag draped around her shoulders features brilliant red, white, and blue colors, while the yellow sun setting in the corner. The reverse of each coin includes the heraldic eagle design from John Mercanti in brilliant Full Color. This was created in 1986 specifically for the American Silver Eagle and is a modern version of a symbol used on American coinage since 1794. 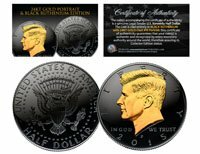 Each coin comes with a Certificate of Authenticity, validating this special colorized product. Each one is Brilliant Uncirculated condition. All American Silver Eagle coins are original products of the United States Mint and the high-quality colorization is a work of art created by the Merrick Mint. Each one arrives in a premium display box.